Our long national nightmare is over: Players and owners have reached a deal and the NBA will resume again on Christmas, probably! Players were so excited they took to Twitter. It should be no surprise, though, that the deal benefits the Miami Heat, the villains of the league. In other sports labor news, Jonah Keri is not a fan of the new MLB CBA. We’ve been following the Occupy Wall Street story in the wake of the galvanizing pepper spray incidents, which Fox News, of course, tried to downplay. New York magazine tried to analyze Mayor Bloomberg’s confusing response to the protests, and The New Yorker had a great story on the movement’s origins. In other stories of political disillusionment, David Frum bemoans the current state of the Republican Party, while Conor Friedersdorf wonders why liberals keep making excuses for Obama. The recent PBS documentary on Woody Allen led Will Leitch and Tim Grierson to rank every Woody film. In college basketball news, the relationship between Alex Oriakhi and his coach keeps getting testier. Another professor analyzes the syllabi of David Foster Wallace. 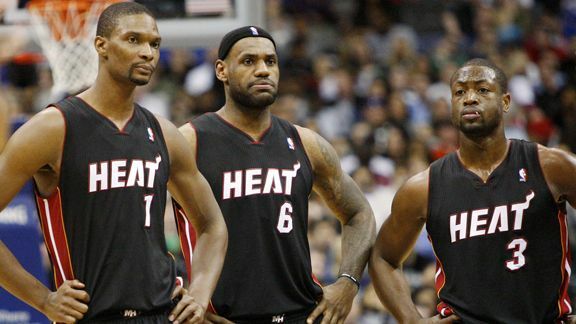 The Miami Heat are the most obvious villains in sports right now, and quite possibly ever. Fans have wanted to see the Heat lose since before this season even started. It’s possible that someone outside Miami was rooting for them to win last night, but if so, he probably kept it to himself. EVERYONE wanted to see Dallas win that series. I barely care about the NBA, and I was thrilled that the Mavericks won. So far in 2011, my Facebook and Twitter feeds have demonstrated complete and utter unity only twice: Last night when the Heat lost, and last month when Osama bin Laden was killed. 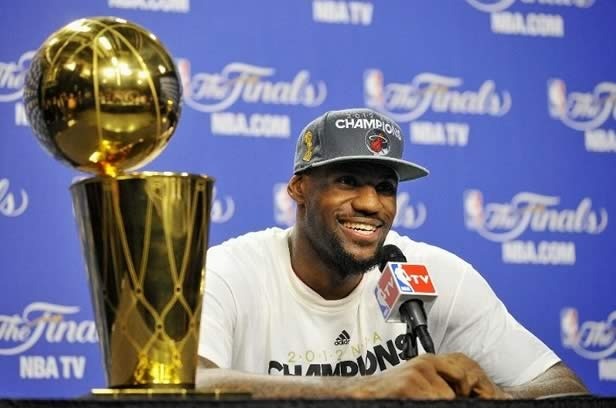 The Miami Heat are the Osama bin Laden of sports. As you may have heard, our former “hero” Chris Bosh went to Miami after a prolonged, egotistical campaign played out mainly through his let’s-be-honest boring Twitter account. I want you to know that I, like you, am not in any way devastated by this decision. In fact, I’m not even mad. I’m pretty cool with how it all went down. I PERSONALLY GUARANTEE THAT THE TORONTO RAPTORS WILL NOT MAKE THE PLAYOFFS WITHOUT CHRIS, JUST AS WE DIDN’T MAKE THE PLAYOFFS IN FIVE OF THE SEVEN SEASONS WITH CHRIS! Furthermore, I’m very confident that our newest first-round pick, Ed Davis, can fill Chris’s shoes, since, like Chris, Ed was unable to lead his team to the NCAA Tournament.